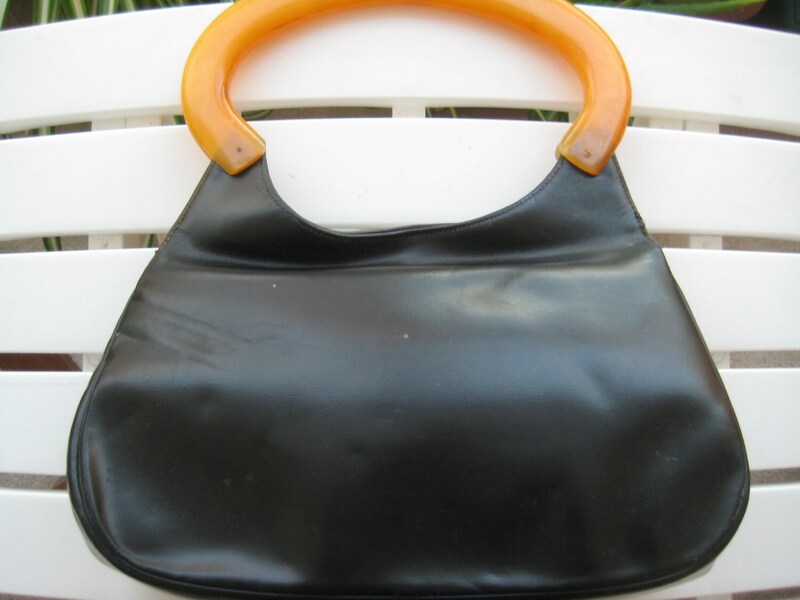 Black leather handbag with a flap closure, accordian opening and metal snap closure. 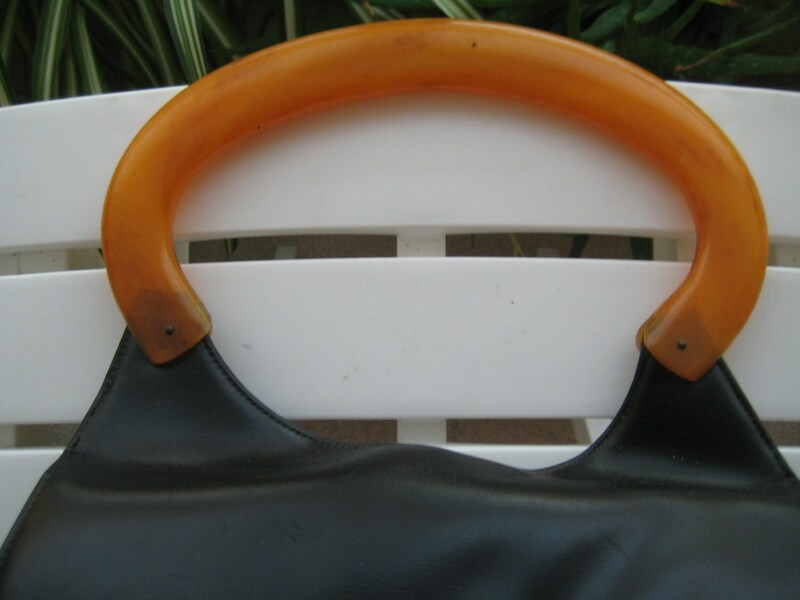 Gorgeous amber Bakelite handle with a 4.5 inch drop. 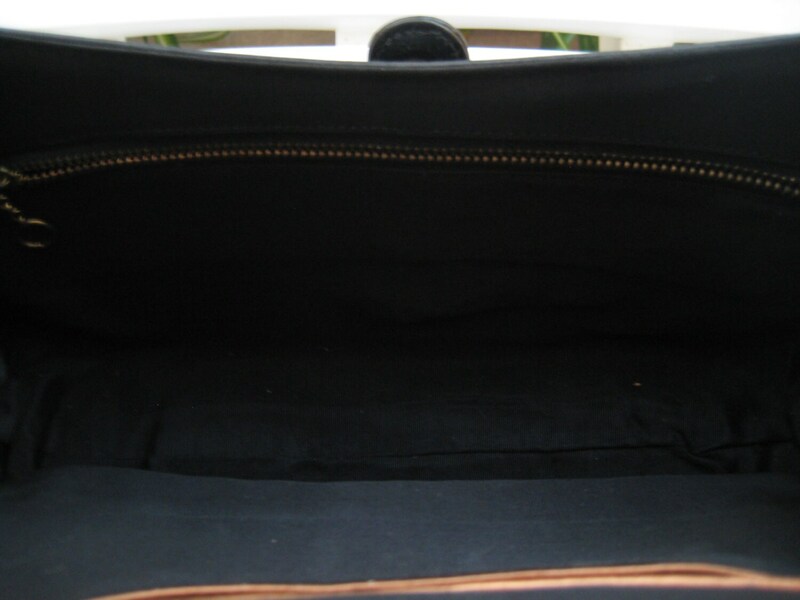 Black polyester satin interior lining. One side patch pocket and one metal zipper pocket. 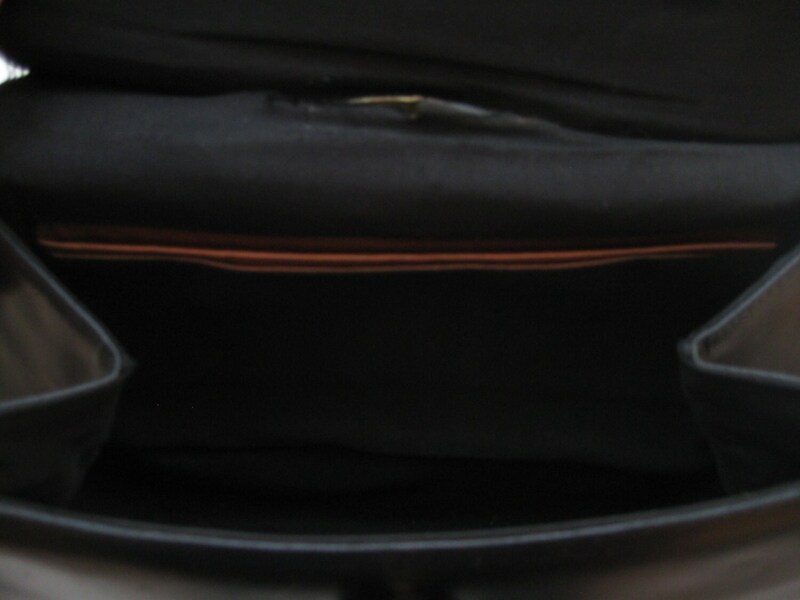 Small tear along the top edge of the lining that has been repaired. Priced accordingly. 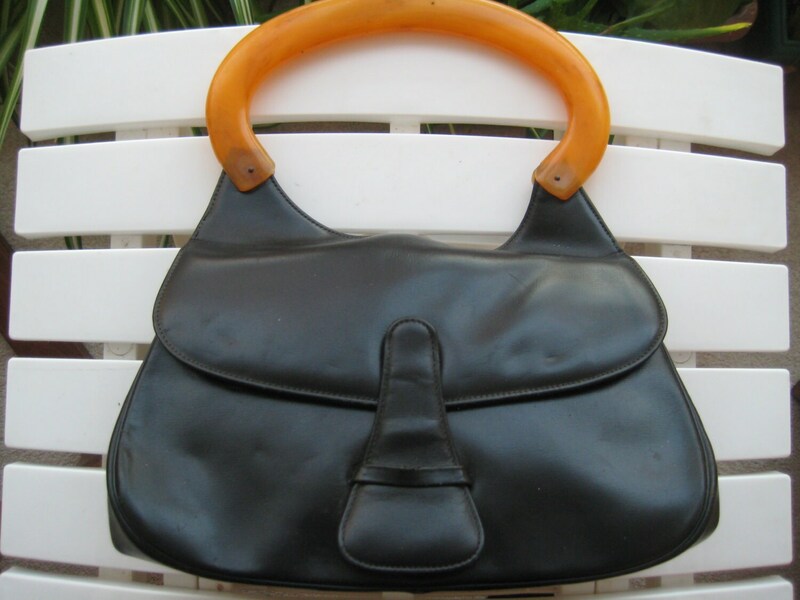 Lovely, roomy vintage bag!